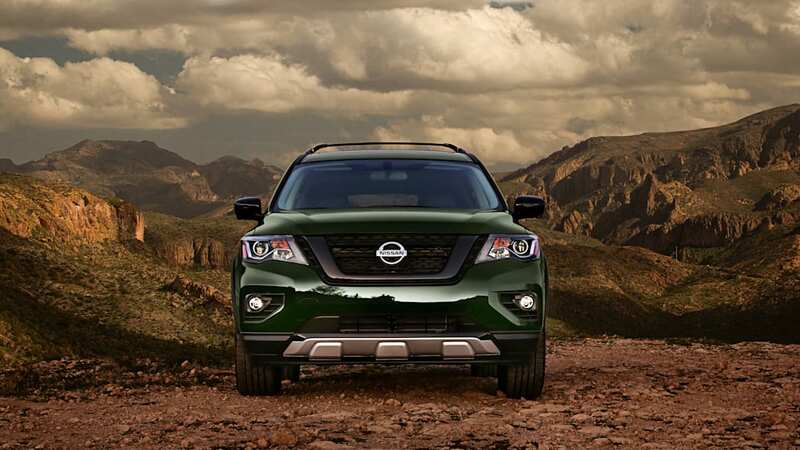 A rugged-looking Nissan Pathfinder hearkens back to the deep-woods original. 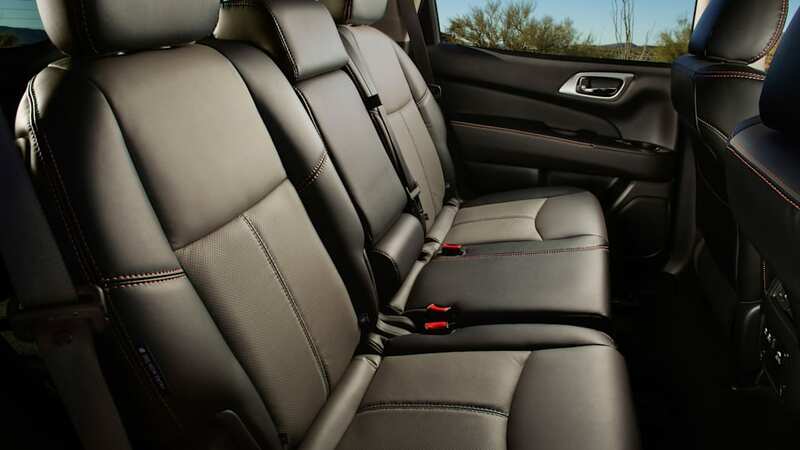 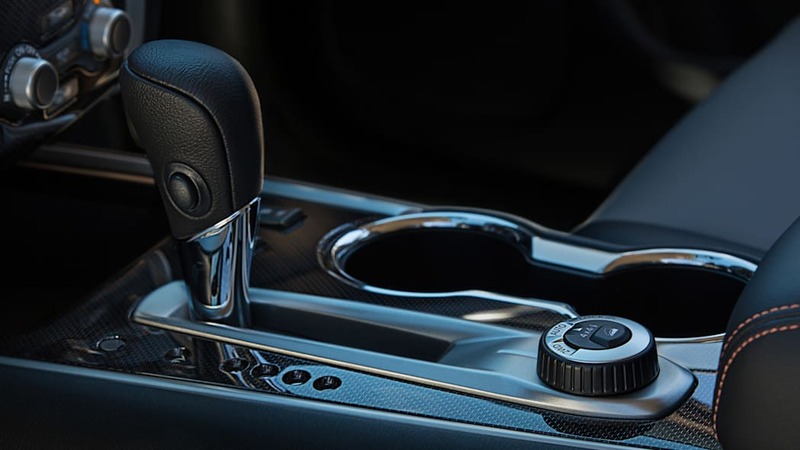 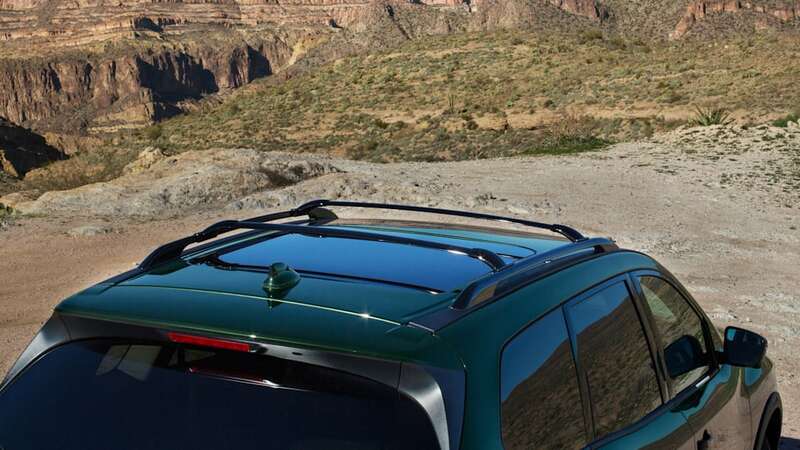 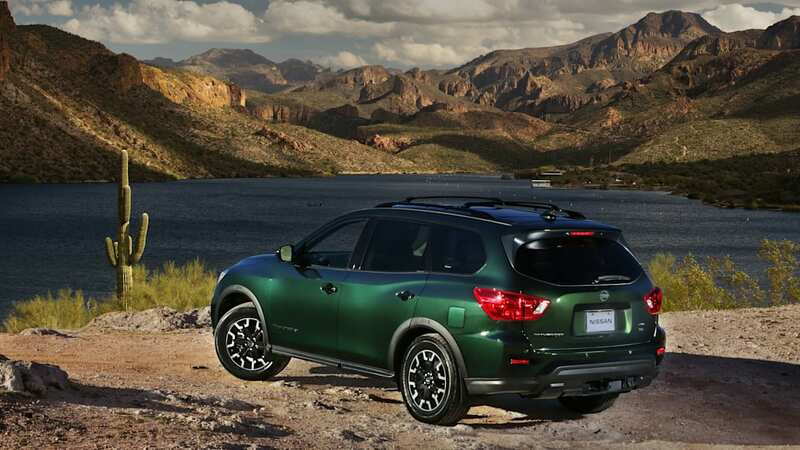 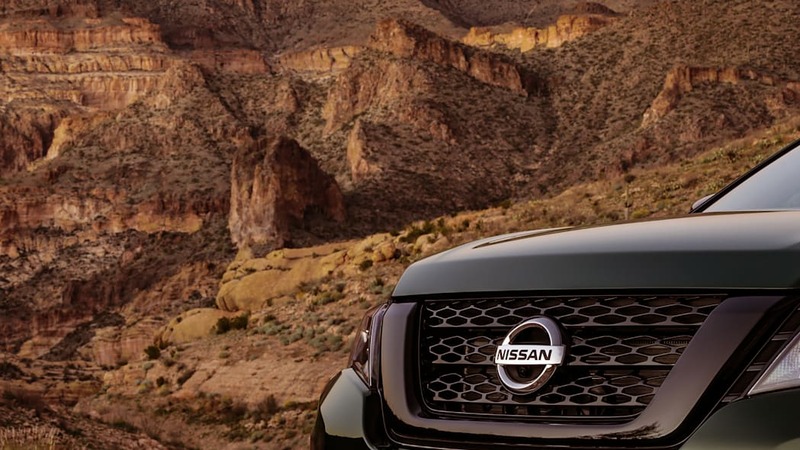 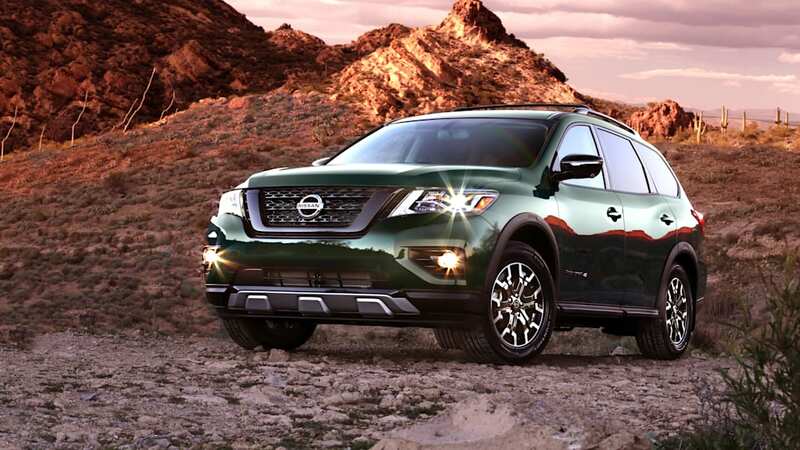 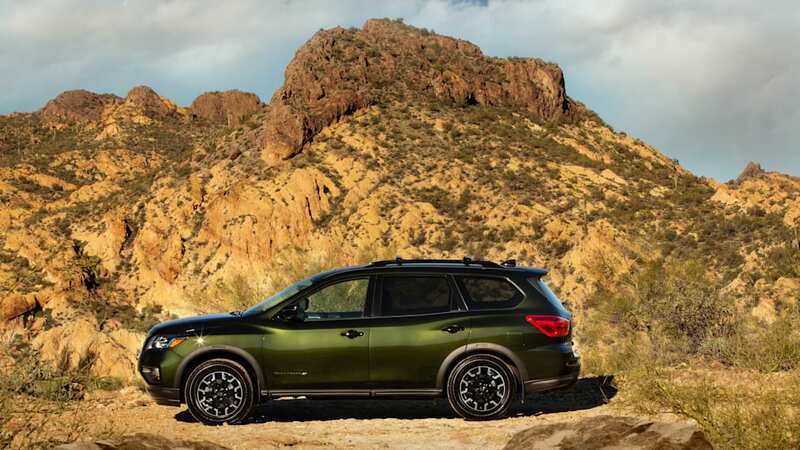 Nissan North America's head marketer said of the 2019 Pathfinder Rock Creek Edition, "The ... name was chosen to connect to Pathfinder's family outdoor adventure-minded target customers." 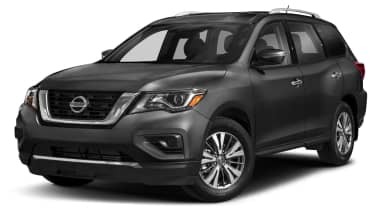 These customers apparently want an appearance package that makes the Pathfinder look even less likely to get dirty, at a big discount. 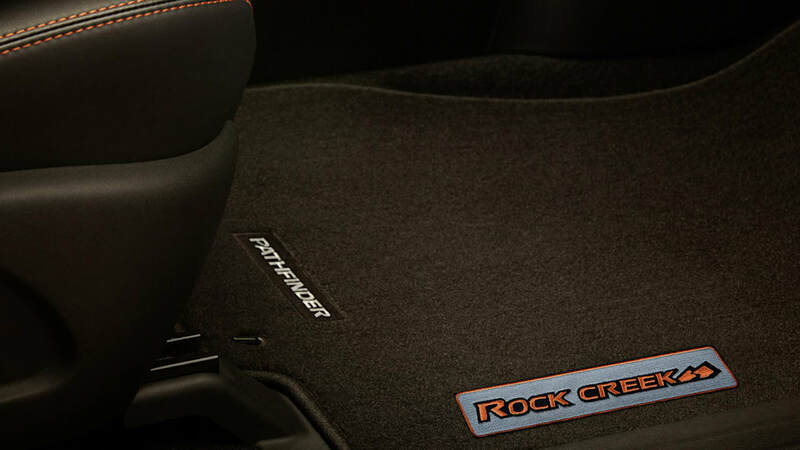 There isn't a single adventure-minded performance upgrade, and even the name is generic; dozens of states have Rock Creeks. 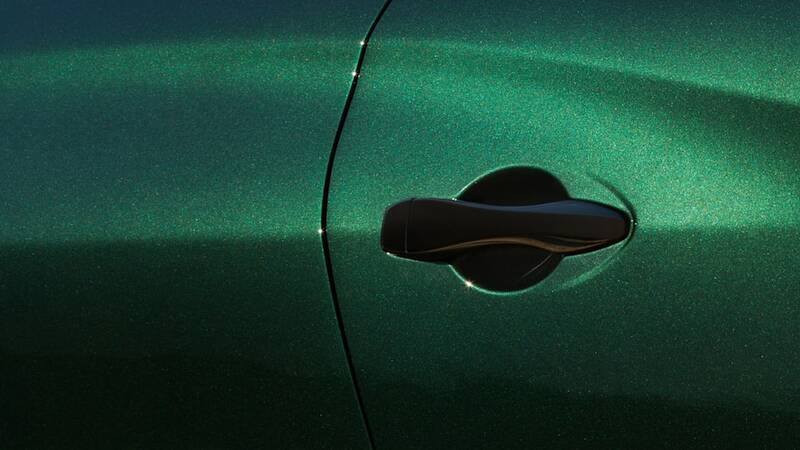 It is relatable, at least. 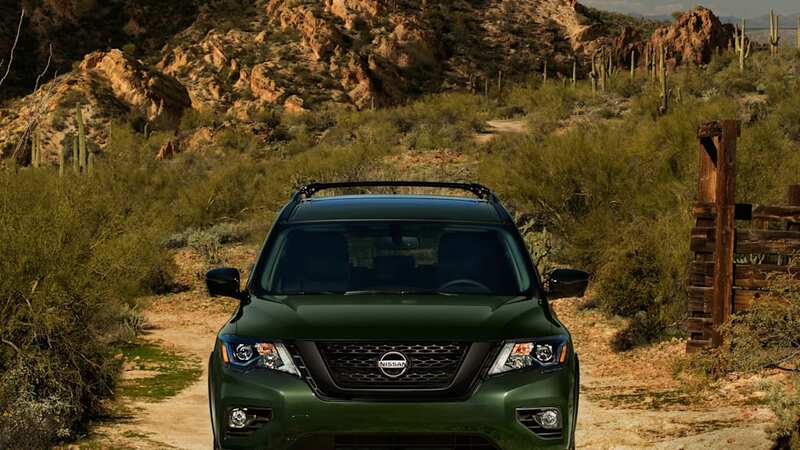 The package dresses the mesh grille, roof rails, door handles, mirror caps, license plate finisher in black paint. 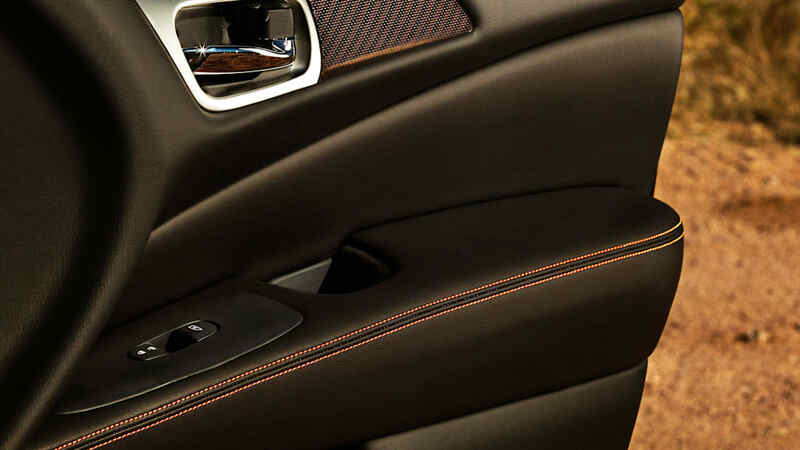 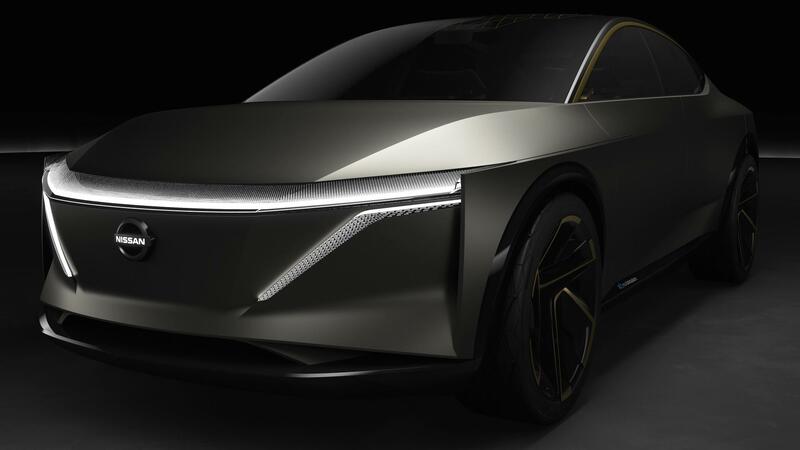 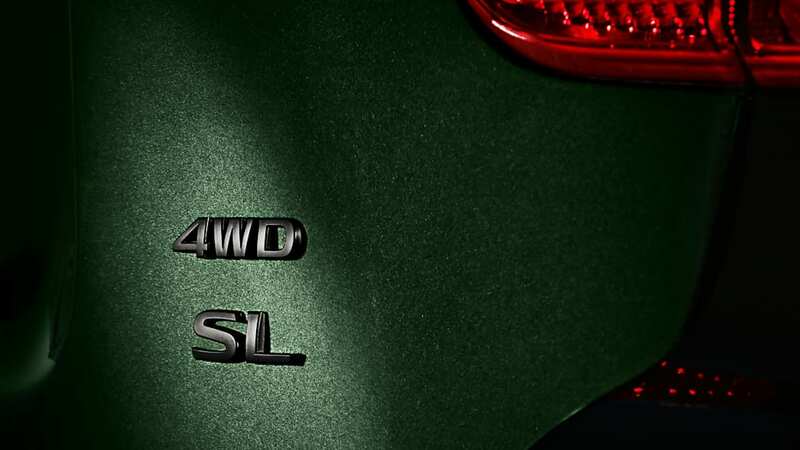 There are also black accents on the front and rear fascias, and black trim around the wheel arches. 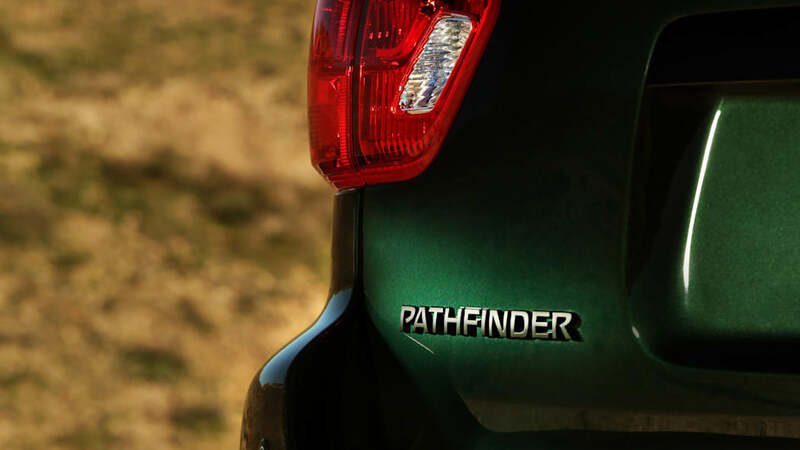 A set of dark, 18-inch wheels make modest reference to the true deep-woods original Pathfinder. 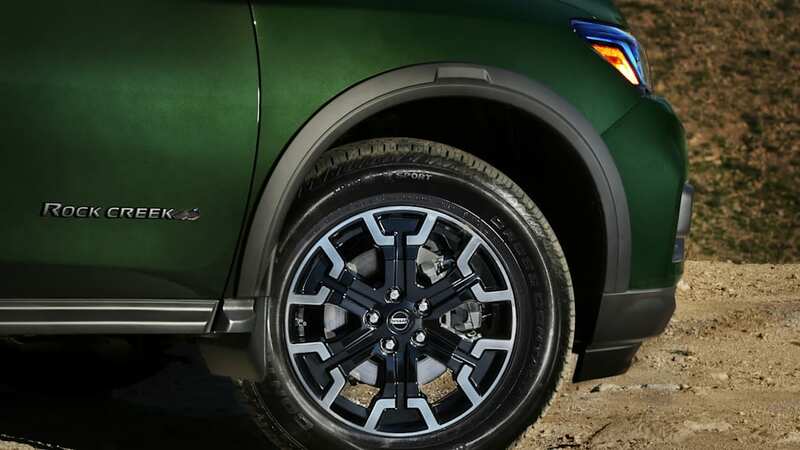 Those wheels are wrapped in 255/60 R 18 all-season tires — 0.40 inches wider than the rolling stock otherwise available. 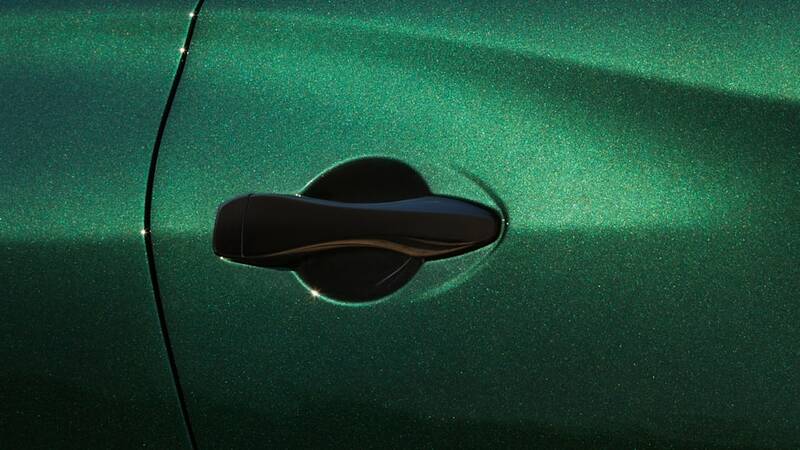 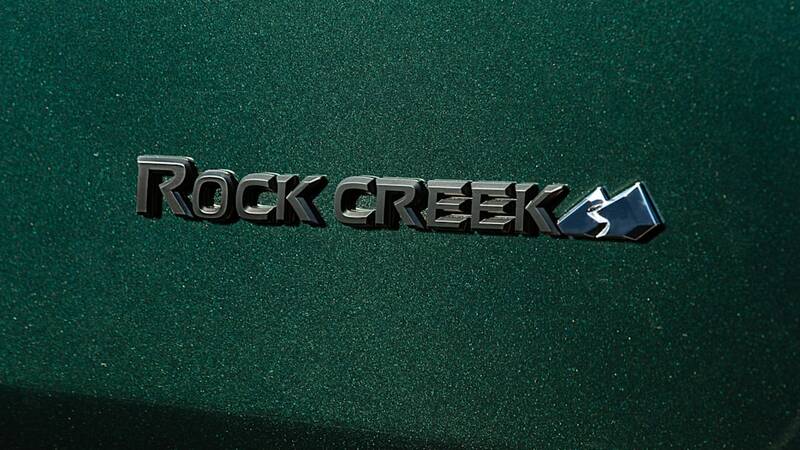 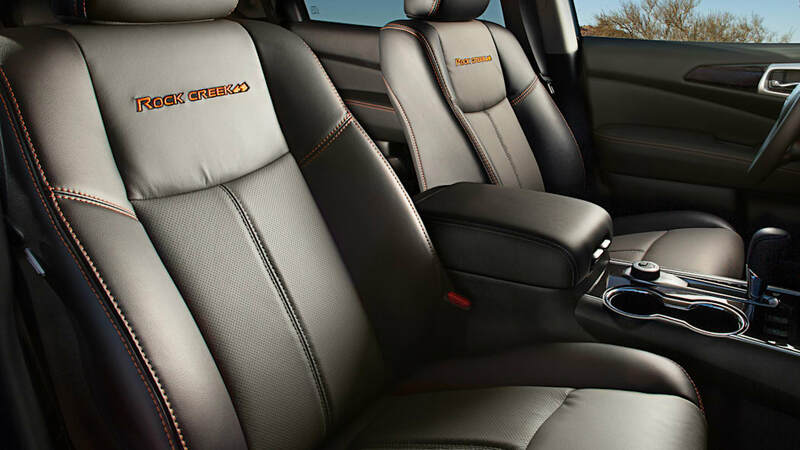 Badging gets done up in black, too, including the words "Rock Creek" on the front doors. 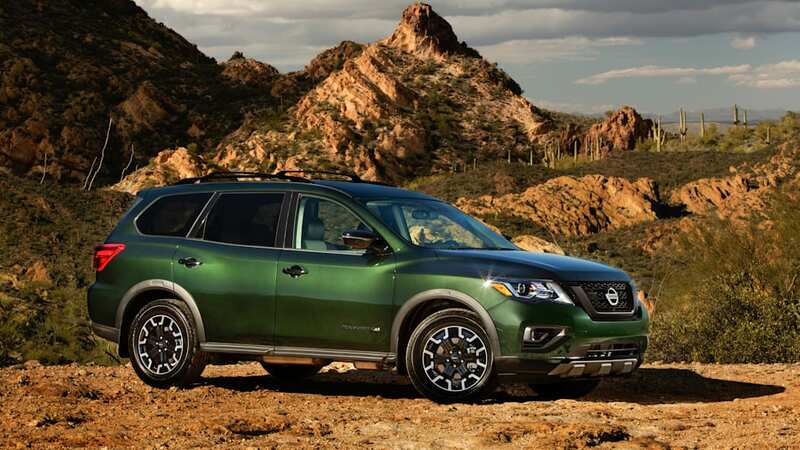 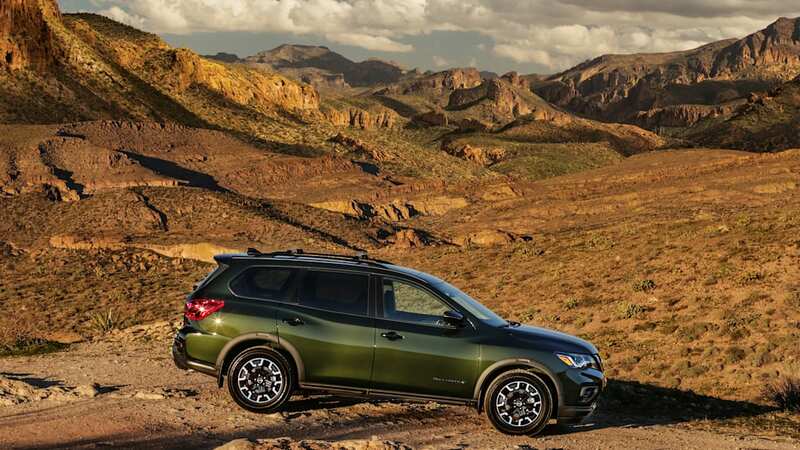 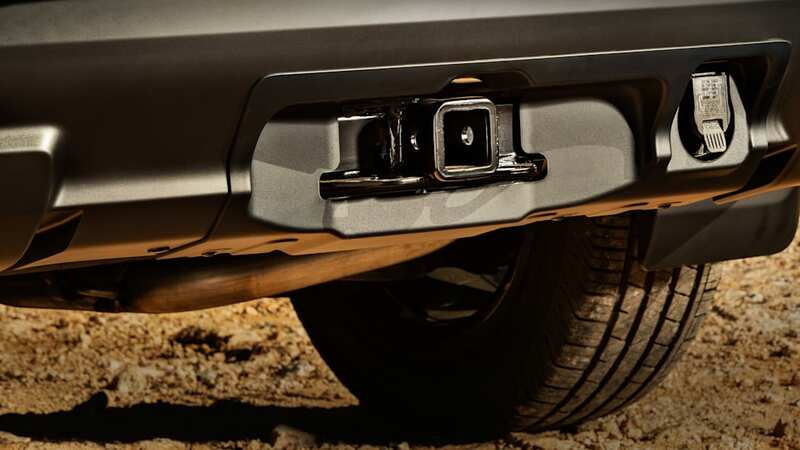 A trailer hitch and splash guards complete the exterior makeover to "emphasize rugged Pathfinder heritage." 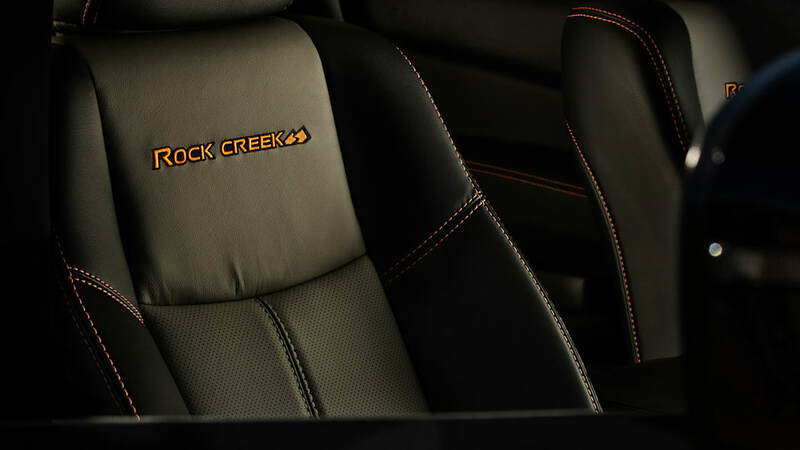 Available on the middle SV and SL trims in two- or all-wheel drive, it takes $995 to put the Rock Creek suit on a Pathfinder. 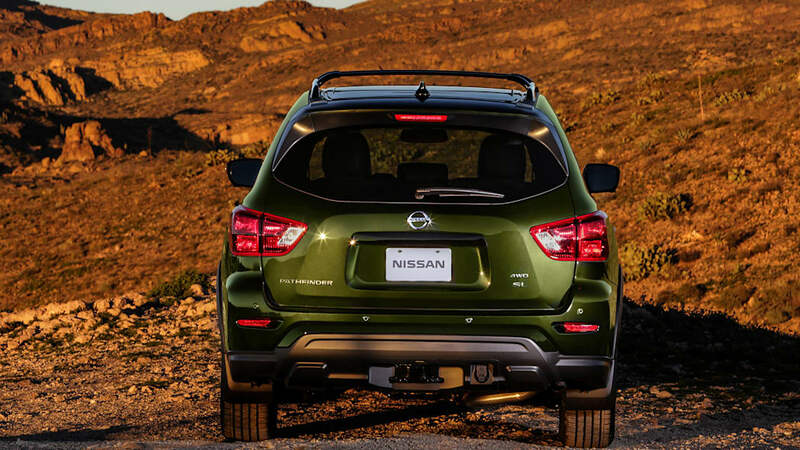 Nissan says that price saves $1,315 compared to speccing the options separately.